Today’s Final Jeopardy answer and question (Europe), the July 25, 2017 game between Catherine Meeker, Mackenzie Brooks, and 3-day champion Justin Vossler. 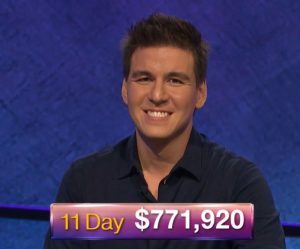 Justin Vossler returns as Jeopardy! champion this week. Check out his challengers as well as a map of all of this season’s contestants!